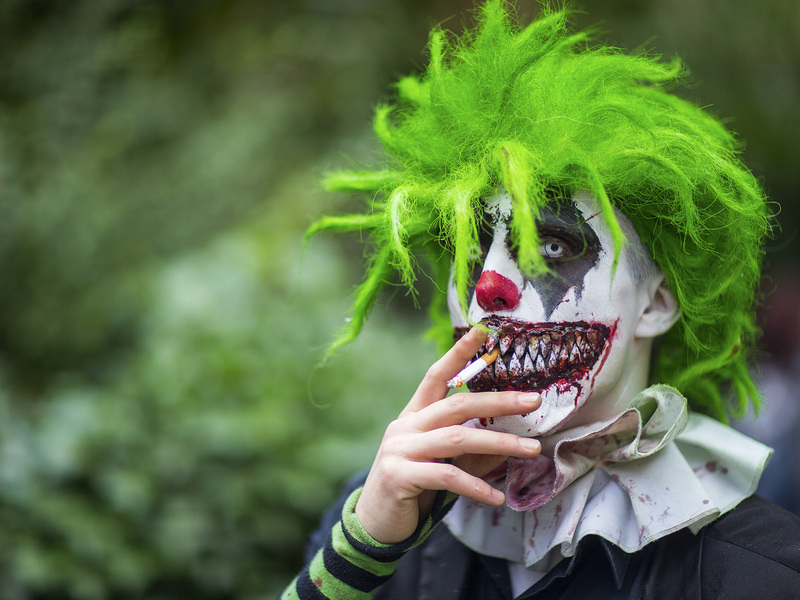 No Joke: French Town Cracks Down On Clown Costumes After Attacks : The Two-Way The French town of Vendargues has banned people from dressing up as clowns for a month starting today. The move follows violent incidents across the country involving teens dressed as clowns. He's not welcome in Vendargues. The French town has banned people from dressing up as clowns for the next month following violent incidents across the country. It's not quite coulrophobia, but the French town of Vendargues has banned people from dressing up as clowns for a month starting on Halloween. A mayoral order on the town's website says the decree bans individuals and groups ages 13 and older dressed as clowns from the town's streets and public spaces. It says the aim is to "avoid confusion and possible disruption" during Halloween when the ban will be "absolute." The ban ends Nov. 30. The move by Mayor Pierre Dudieuzere comes after violent incidents across France involving teens dressed as clowns. The Associated Press adds: "[P]eople dressed as scary clowns spooked children and in several cases assaulted people. In one incident, an adolescent assaulted a passerby with an iron bar. "The phenomenon spread over the past few weeks on Facebook, with groups tracking clown sightings across the country. But Vendargues, with 6,000 inhabitants, is apparently the first town to ban clowning around." "The recent creepy clown trend started on social media on October 1. Photos of an eerie clown posed carrying balloons in poorly lit streets of Wasco, California appeared online. The 'Wasco clown' photos were taken by a husband and wife team and posted to an Instagram account as part of a year-long art project. "What started as an art project has spawned the armed-clown copycats, including the arrested teenager who claimed to be copying the Wasco clown. The Wasco clown couple told KGET news that they do not support violence and have no connection to the other clowns."